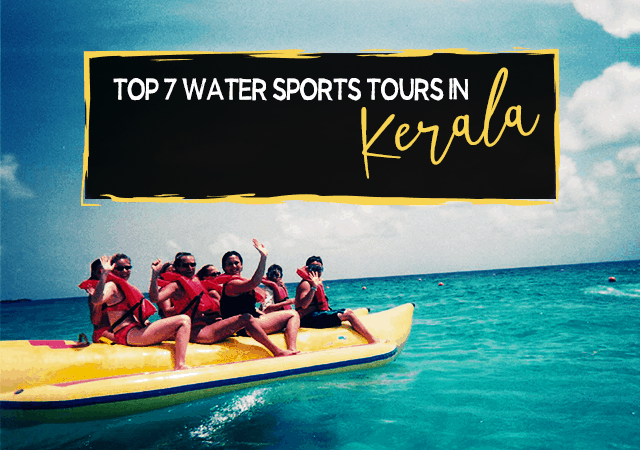 Watersports is an attractive prospect for tourists visiting India, and incidentally, Kerala is a favored destination for water-based activities. 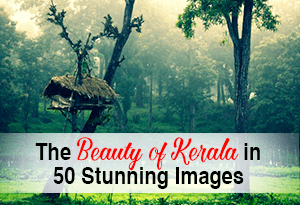 You might have thought that Kerala is all about backwaters, waterfalls, hill stations, and forests, but that’s not all. There are a number of water-based activities that you can enjoy while at Kerala. Check out 7 of them. 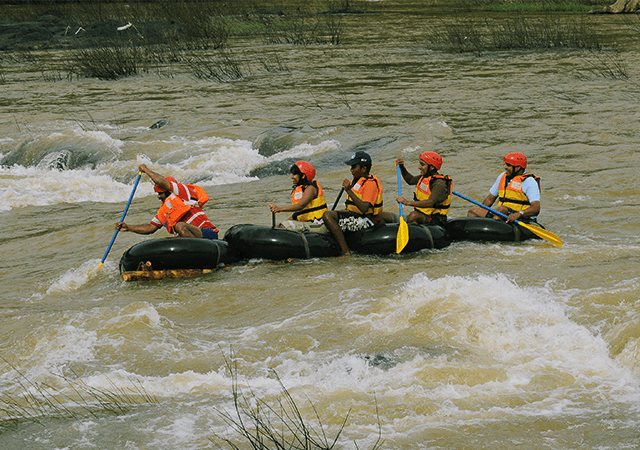 Yes, Kerala is a good destination for river rafting. People usually head to Rishikesh to enjoy the excitement, joy and fear of going on a roller coaster ride over the rushing waters. 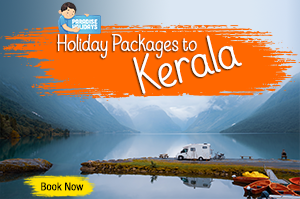 But Kerala offers the same too, plus picturesque views of villages, gorgeous hills, valleys and the greenery beyond. You don’t have to be a rafting pro to get the kicks because water rafting in Kerala is much easier and less strenuous. 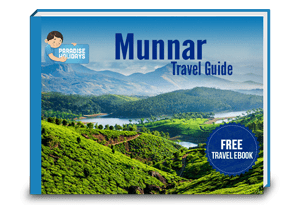 The best destinations are Chalipuza River in Tusharagiri, Vythiri River in Wayanad and Boothathankettu in Ernakulam. The best time to do this would be June-September period. Enjoy the best views of Kerala when you go kayaking. It provides you with wholesome fun, where you have the control in your own hands, while you paddle away taking in the views and the beauty of what nature has to provide. Make this water sport one of the highlights of your Kerala visit, and you will definitely have one of the best vacations of a lifetime. There are kayaking options in Aleppey, Kasargode, Kollam and Nileshwaram. You can paddle through the backwaters, and observe the local folk, watch the flora and fauna, and even capture a beautiful sky in your camera. 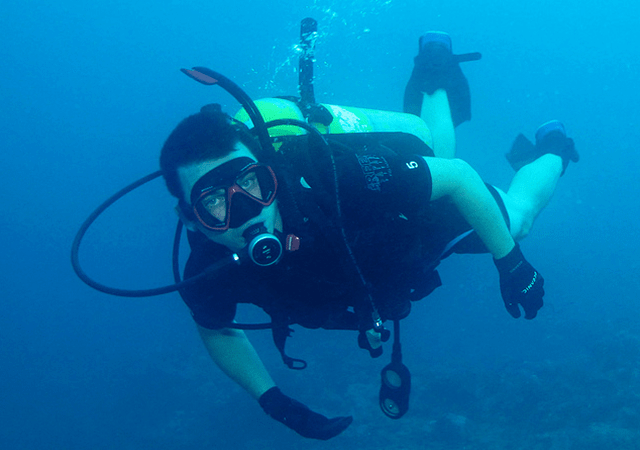 Is scuba diving more your kind of fun and adventure? There are plenty of scuba diving spots in Kerala that would give you the opportunity to dive deep, especially in Kochi and Varkala. If you’d love to try the sport, but not sure of the proper way to do it, seek the help of instructors at the scuba diving centers and go ahead. Exploring the emerald green waters and relishing the mesmerizing spell marine life can cast over you is a memorable experience that cannot be replicated through any other watersport. There is so much to see and experience because the marine life is so beautiful and natural; you can even call it exotic and totally captivating. 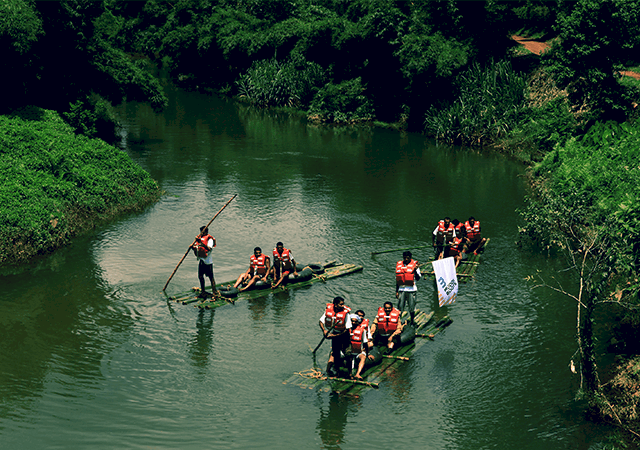 Would going on a bamboo raft through the dense forests along the Periyar River give you the goosebumps? Then get ready to shiver with the adrenaline rush as you indulge in thrilling full-day bamboo rafting along the Thekkady, Periyar Reserve. Feeling the ripple of water, and enjoying the cool breeze sifting through your hair will make you forget everything else, and you will give in instantly to the beauty of nature in its pure, virgin form. While rafting along on the lake, you can feast your eyes on the wild animals drinking water by the banks, pick your camera and shoot pictures of the birds and animals. There are different kinds of boating options in Kerala, and banana boating is one of them. 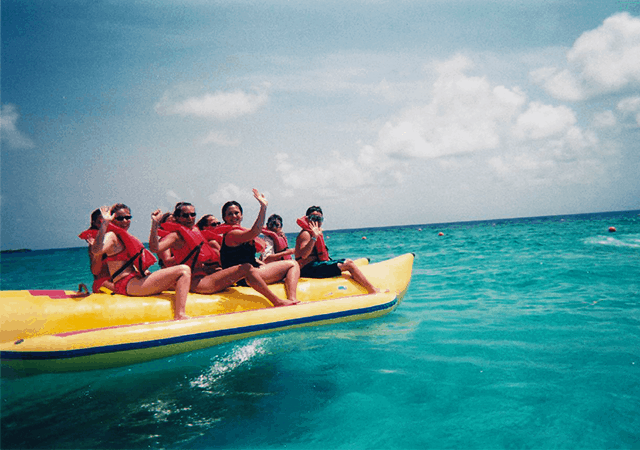 A banana boat is an inflated boat that’s shaped like a banana. It takes you on a ride along the shoreline on a boat. The banana boat is pulled at a high speed by a speedboat. The boat goes along, bouncing along the waves, making it all the more thrilling. It is a different experience and can be enjoyed at Payyambalam Beach in Kannur. It is a short ride, but definitely worth the experience. 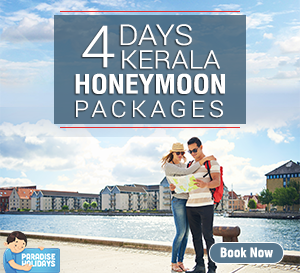 You can enjoy banana boat rides at Kochi and Kovalam too. 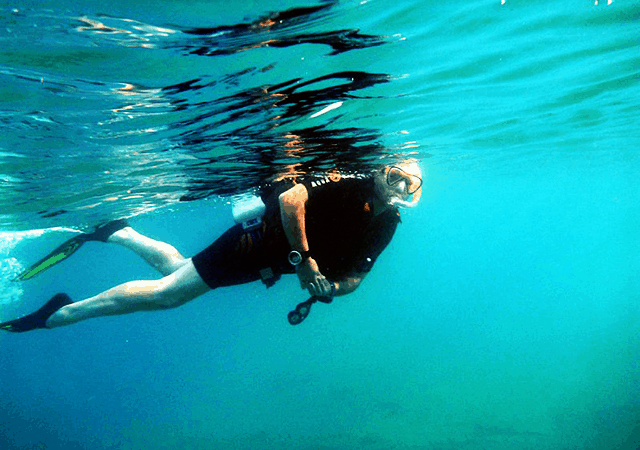 Snorkeling is a great watersport in Kerala and tourists enjoy this activity at Kovalam, Varkala and Aleppey. The fascinating underwater life is a great attraction and the tourism department in the state has gone to great lengths to promote this sport by importing high-quality equipment. If you want to go snorkeling, you can rent the equipment and enjoy the various life forms that live peacefully unperturbed by what’s happening in a world outside of theirs. Ever fancied riding on a yacht? Well, the catamaran is a yacht and a sailboat all rolled into one. It is actually a traditional fishing boat used by the fishing community whenever their fisherfolk go deep out into the sea. The catamaran has amazing balance and docility, so it is perfectly safe to be taken out on splashing waves. Wooden oars propel the traditional cataramans, while the modern ones are motorized. 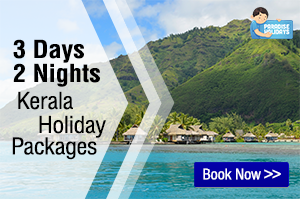 But the fun is still the same and you can enjoy it at Aleppey, Varkala and Kovalam. Each season, more and more people are signing in for these water-based activities and giving vent to their passion for enjoying water and nature. 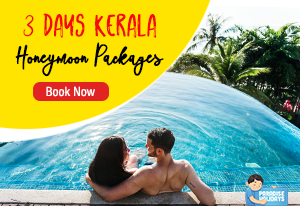 Kerala is the best place to enjoy these activities, and with its enriched natural surroundings and beautiful weather, remains a place of enigma and joy to the multitude of visitors. 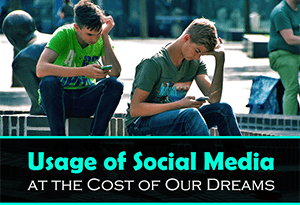 If you like this post, please share!!! This article helps me a lot to plan my next trip for my clients. Thanks for this great article.